Although this is not my first time traveling outside of the country, it has been my first opportunity to study abroad, and so far, Berlin has been an amazing experience. Today was a wet and gloomy day, but we were still able to interact with communities in Berlin that are usually kept under the radar. 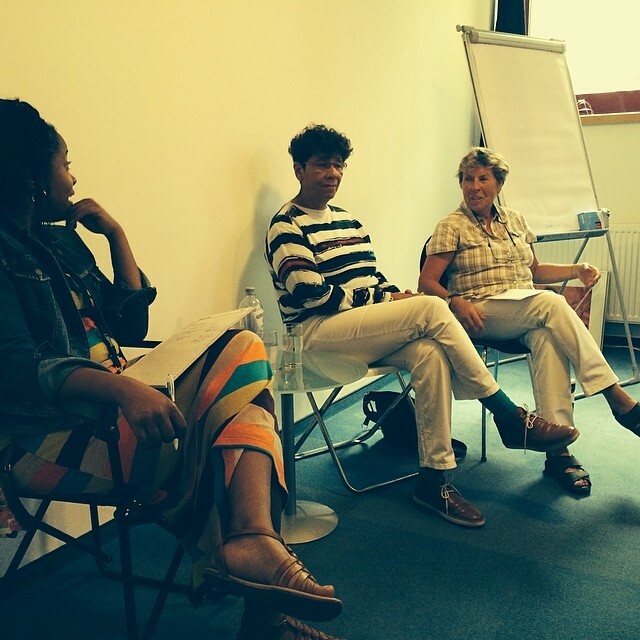 We started off our day with a visit from Ika Hügel-Marshall, author of Invisible Woman: Growing up Black in Germany at Frauenkreise, in order to ask questions and discuss topics related to her being a doubly ostracized citizen of Germany as both an Afro-German woman and a lesbian. It was also a pleasure to have Ika’s partner Dagmar Schultz there to translate for us. It was refreshing to speak with someone who hasplayed a major role in the Afro-German movement in Berlin. After that, we went back to our apartments to get a little rest and then headed to our next adventure. Aside from the language barrier, it is relatively easy to navigate the streets and public transportation systems in Berlin. Thank goodness for Google maps; although, I could have survived without the obvious stares. Out next destination was the Schwules Museum. Even though we had to trudge through some unpleasant weather, I was super excited to finally get to the museum, especially since I have never had the pleasures of visiting one like it in the States. Once we arrived, we were greeted by the very excited and sweet Elisaveta Dvorakk who gave us a tour of the photography activist Zanele Muholi’s exhibit. Not only does Muholi’s art celebrate various forms of the Black woman’s body, it is simultaneously celebrating Black lesbians through her photography. The exhibit was all the way in the back, but they say you save the best for last, which was very true in this case. We were given a little time to look around at her photographs on our own in order to get a feel for the exhibit before Elisaveta gave us an explanation of the pieces on display. The exhibit was a collection of series, including Faces and Phases and Being, which went perfectly together in giving insighton the complexities of Black queer communities. These photos were not only eye-opening because of the content, which was at times very up close and personal, but they were also eye-catching because of Muholi’s style of photography. What I noticed about the majority of the pieces from Faces and Phases was that all of the people were centered, making it impossible to not be captured by their gazes. For me, it was a way of forcing viewers to humanize Black lesbians because they look at them directly instead of only glancing at them from a side view. Being, much like Faces and Phases, showcased pieces that humanized Black lesbians by capturing their everyday life processes, such as being in a relationship, bathing, having families with children, and a range of other aspects. After viewing her exhibit, we viewed a relatively short documentary starring Muholi entitled Difficult Love. 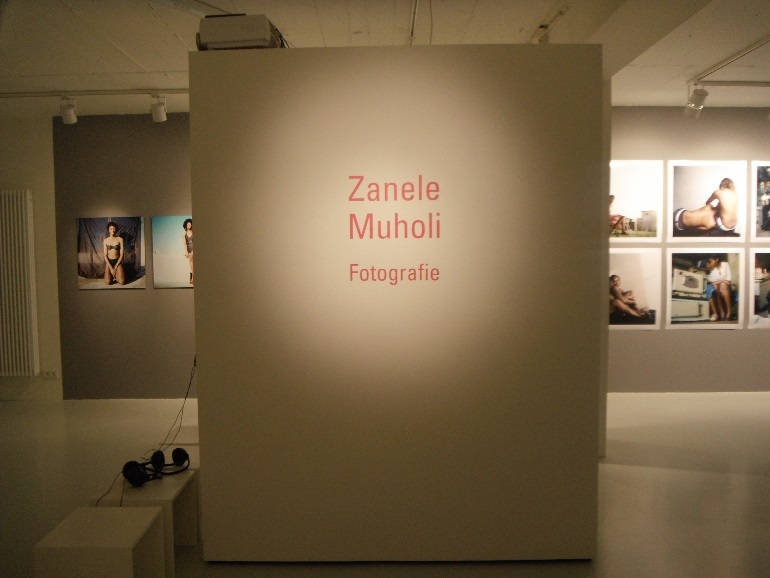 The documentary featured discussions about the views of homosexuality in Johannesburg, where Muholi’s photography was banned because of its potential to “poison the youth.” An interesting comment was that homosexuality was not original to Africa, but was brought to the continent by Europeans. I found this especially interesting, because I remember southerners in Little Rock, Arkansas, where I’m from, claiming that homosexuality is “a white man’s disease.” Throughout the documentary, there were also multiple accounts about homosexuals being exiled and abused physically and mentally. What was disturbing was that many of the stories were very similar to those that are told in the U.S. I guess it was more upsetting to come to the realization that there is truly no escape from discrimination anywhere in the world. I started to become very emotional during the exhibit and documentary, partially because of the gloomy weather outside but mainly because of these human beings being treated as animals that need to be shot down because of the potential of them spreading a “disease.” Yet, these people fail to realize that they are contributing to spreading the rampantdisease of homophobia. Never the less, I was more than happy to be able to go to such a unique museum and experience such a unique and eye-opening exhibit. I can’t wait for more adventures here in Berlin. 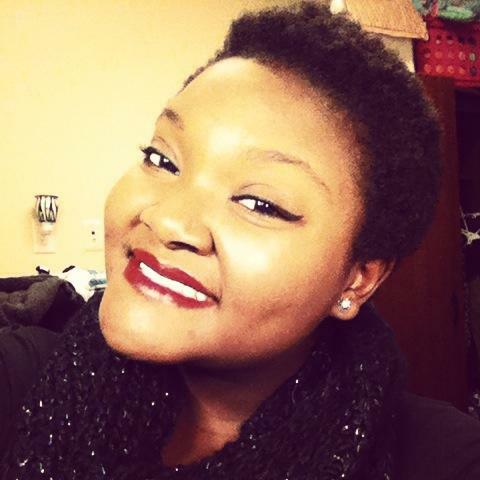 Kadesha is entering her third year at Colorado College, majoring in Feminist and Gender Studies and possibly minoring in Race and Ethnic Studies. She is also on the Pre-Medicine track.